Don't want you all to think I have disappeared. I was just hiding in a closet sucking my thumb trying to escape from the rain and the gloom. Seriously-it was RAINING here for days on end. Not good for the spirit. But I was doing some occasional sewing, including using the Meadowsweet fabric I purchased. That bright spot on the bottom is the sun shining in, at least I think that's what I think it is. It's been so long since we've seen it I may be wrong. But it's back from my quilter and waiting for binding. I just love how this came out and I'll definitely be making this pattern again. It works with fat quarters or layer cakes. I used fat quarters. My quilter used a thread that matches the vertical and horizontal strips that make that plaid effect. Then I have cut out and waiting for the sewing machine some summery patriotic colors for a table runner and table topper so I'll get to those after Easter. I'm using a Wiscasset charm pack I had, some leftover Prairie Paisley and some other fabrics from my stash. I love using my stash. Then, while I was craving bright and shiny I got some pillows for the family room. These are silk pillows with down pillow inserts from Target and for a low price. I love them. I have 2 other colors too-a turquoise and an orange. Seriously, the inserts are worth way more than they charge for the pillows! The colors make me smile and I needed it with all this March weather we've been having. April so far is looking good! Hope everyone has a wonderful easter weekend. Love the quilt. She really did a nice job quilting. I like the blue thread and the design too. Cool pillows--I know what you mean about needing sunshine. It's been a couple days since we've seen it here too. It has really been windy. The wind just makes me tired listening to it. Happy Easter. I love creating spots of seasonal color with throw pillows. Yours are so pretty. Nice job piecing. Design is very pleasing to the eye. Love the quilt finish! Anything with Meadowsweet is so pretty! Such a beautiful quilt. Here's hoping for sunshine coming your way. Your quilt turned out beautifully. I hope you are having lots of sunshine by now!!! I love your Meadowsweet quilt. Great fabrics. Can't wait to see the table runner. Love your Meadowsweet quilt! The quilting pattern is very intricate. 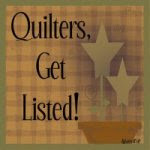 What pattern is it that your quilter used? It looks wonderful! Enjoyed looking around your blog at all the beautiful work that you do!! Well those pillows definately brighten things up, don't they? Your plaid quilt is rather springy also. I'd say you're setting yourself up for some sunshine. Hope it finds you soon! 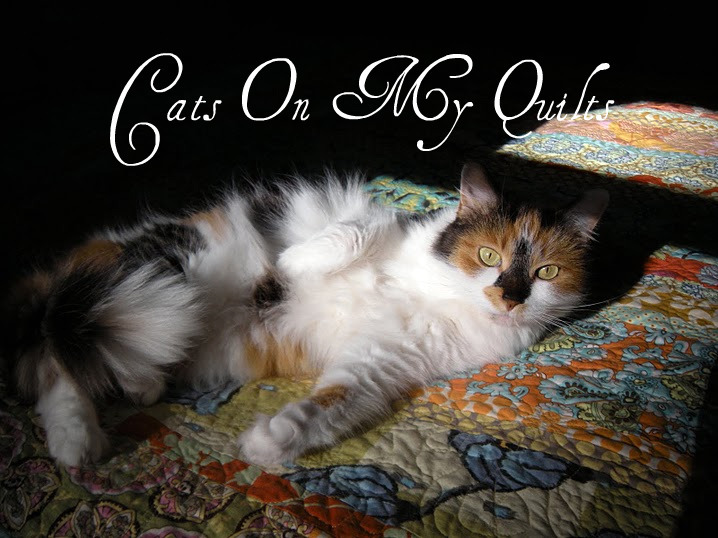 Your quilt, and your bright silk cushions made me smile! The quilting is lovely, & the idea of down cushions just appeals to me, for so many reasons. Hope your After Easter is happy! Oh my goodness, I wish you could send some of that rain to us. We are covered in yellow/green pollen in SC - but should have rain on Thursday if the weatherman is right. Your quilt is very nice - just looks like Spring. We (hubby and I) are just finishing a Broken Dishes quilt, and are beginning work on a Snowball one. Yours is beauiful, I love the border color with the yellow flowers. I looked all over for something similiar, and found it in Tennessee this week. Love your blog. Long time no talk to!!!!! I like your quilt :) It was a very hard winter for all. It was one of our coldest!!! But spring is here now and all is right with the world.